UEFA has begun disciplinary proceedings against Chelsea following alleged anti-Semitic chanting during the club's Europa League match at Hungarian club Vidi last month, European football's governing body announced on Tuesday. A vocal minority of Chelsea fans were heard singing a derogatory chant about Tottenham supporters, featuring anti-Semitic language, during the 2-2 draw at the Groupama Arena in Budapest. 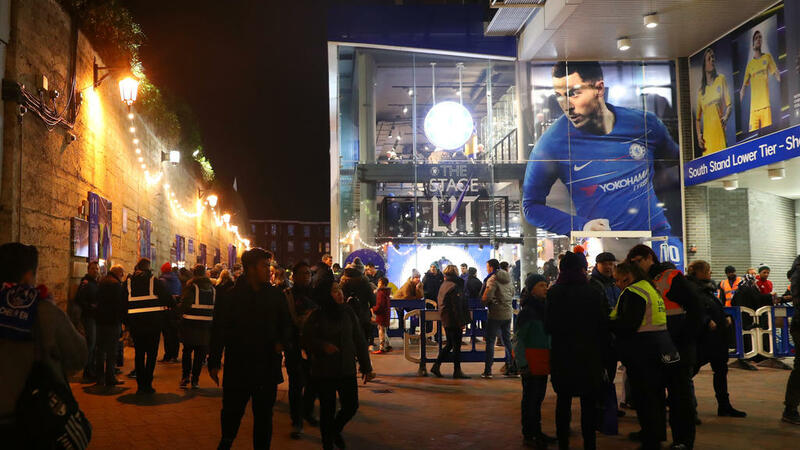 "In relation to the alleged racist incidents that occurred at the afore-mentioned match, UEFA has announced that disciplinary proceedings have been instigated against Chelsea FC," UEFA said in a statement. It added that its Control, Ethics and Disciplinary Body would deal with the case on February 28. Chelsea have been dogged by accusations of supporter racism in recent weeks, with four supporters banned pending an investigation into alleged racist insults directed at Raheem Sterling during the Blues' 2-0 win over Premier League champions Manchester City in early December. Chelsea coach Maurizio Sarri said the club were in a "fight against stupid people" following further allegations of racism from supporters in the away end during his side's 2-1 win at Watford on Boxing Day. Days previously Chelsea chairman Bruce Buck had published an open letter to fans in which he blamed a "deeply unpleasant but vocal minority" for refusing "to join us in the 21st century" and damaging the club's image. "We must not allow a small minority of fans to bring further embarrassment upon us, and will continue to take the strongest possible action against them," said Buck. Chelsea owner Roman Abramovich and several of the club's players joined the World Jewish Congress this week as part of its "We Remember" campaign to help raise awareness about the Holocaust and fight racism and discrimination.